I've been fascinated with TV trivia ever since my earliest encounter with a classic TV star, which happened in a Kansas trailer park in the early 1970s. It wasn’t as tawdry as that might sound. I was a starry eyed kid who loved television, and one of my favorite shows was the campy Batman. Robin, the Boy Wonder, visited my hometown when I was about six years old. I was so young that I didn’t quite understood yet that it wasn’t actually Robin, but a young actor named Burt Ward, who was working his way across the U.S. making personal appearances. My big brother Mark and I were excited from the moment we saw an ad in the newspaper announcing that the superhero would be signing autographs at a mobile home dealership in Coffeyville. “What are you going to ask him?” Mark asked me as we stood there sweating. He was afraid that in the excitement I’d forget or just stand there tongue-tied. But I remembered my question, and I recited it belligerently to him. “I’m not going to forget,” I said. But just in case, I did keep repeating it over and over in my head. Finally we made our way into the magic trailer -- and there, sitting behind a desk, was Robin. I was used to seeing the show on our black-and-white TV set, so his bright red vest and shiny yellow satin cape looked intense. And even with that little bandit mask concealing part of his face, I could tell he’d aged a bit since the TV show was made. As Mark moved aside, still glowing a bit from his experience, I stepped up. I was soft-spoken, so after Robin asked my name and I told him, he yelled over his shoulder, to no one in particular, “Is it Craig or Greg! ?” There were a few people milling about behind him—probably the owner of the trailer park and his proud family. Maybe Robin thought my parents were in the trailer somewhere, but Dad was out in the car, and Mark had moved on, so I was on my own. I spoke up and told him my name again. Then as he scribbled it on a photo for me, I asked my question: “Which villain was your favorite?” He didn’t even think about it. “I hated ’em all,” he said blithely. Before I knew it, our audience with Robin was over, and we hadn’t really learned a thing. I didn’t know it then, but what my brother and I were seeking that day was TV trivia. We were going right to the source; we wanted Batman’s trusty chum to tell us a couple of little-known facts about one of our favorite shows. And even though Robin didn’t really give up the goods, for me, it was the beginning of a life-long interest in the details that made up the fabulous worlds depicted on our family TV screen. When I wasn’t watching TV, I spent a lot of happy hours reading about it—everything from paperbacks and comic books based on popular shows (like The Partridge Family and Dark Shadows) to magazines that offered gossip about the stars and previews of episodes to come. One of my favorite magazines was Dynamite, which was aimed at kids like me and which included posters of everyone from John Travolta to Farrah Fawcett-Majors. I covered my bedroom walls with those posters, and I filled my mind with as much trivial information about my favorite shows as I could find. As I grew up, my love for TV shows only intensified. Over the years I’ve interviewed dozens of actors, including classic TV stars like Carol Burnett, Stefanie Powers, Conrad Bain, Gordon Jump, and Jonathan Frid. For various writing projects, I’ve conducted extensive research at the New York Public Library for the Performing Arts and the Museum of Television and Radio. And as opposed to the half-dozen channels the antenna on our TV captured when I was a kid, today I have digital cable with more than 200 channels, and a collection of classics on VHS and DVD. 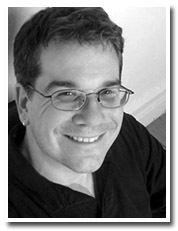 Along with my friend Michael Karol, another writer who loves TV as much as I do, I’ve started the TV Tidbits book series and website. To prepare The TV Tidbits Classic Television Quiz Book, I re-watched countless episodes of my favorite shows, pored through reference books, and spent hours surfing the Web. It was certainly a labor of love, and if you’re a TV fan like me, I think you’ll enjoy the challenge of working your way through the pages. The book will be available in late March on Amazon.com. In the meantime, you can find out about my other books currently for sale on Amazon. To take some TV trivia quizzes excerpted from the book, click here. Stay tuned for more in the Tidbits book series and visit www.tvtidbits.com to read fun facts about your favorite shows. 1. Quiz One: Test your knowledge about such classics as Wonder Woman and The Donna Reed Show. 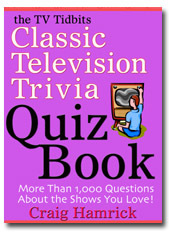 The TV Tidbits Classic Television Quiz Book, which is now available on Amazon.com!